BIG PRICE DROP, BACK on MARKET! SPECTACULAR, HIGH-STYLE DUPLEX in Joshua Tree Village! Artistic vision and superb design taste make this property the impressive income producer that it is. With two immaculate units, both 2-bedroom, 1 bath, each with a single car garage, and private patio spaces, this place is a showstopper. 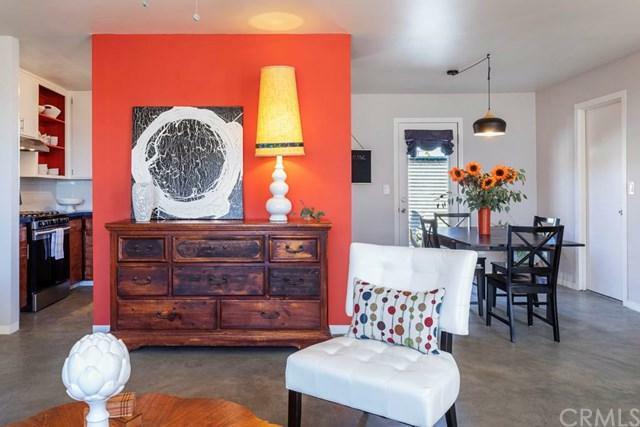 This enviable property was fully renovated by the current owner, with recent installation of a concrete septic tank, roof, cooling systems, fantastic concrete flooring work, eye-poppin BIG PRICE DROP, BACK on MARKET! SPECTACULAR, HIGH-STYLE DUPLEX in Joshua Tree Village! Artistic vision and superb design taste make this property the impressive income producer that it is. 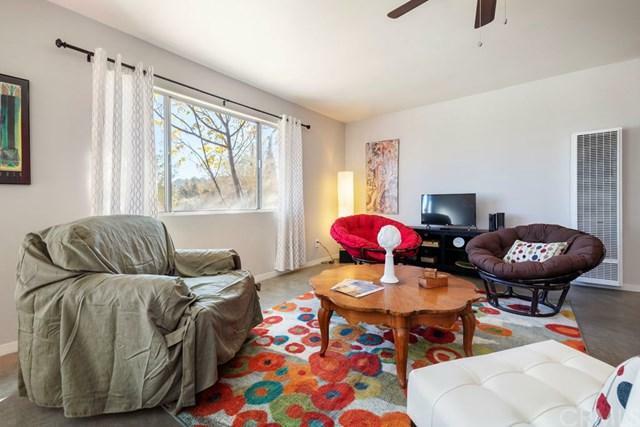 With two immaculate units, both 2-bedroom, 1 bath, each with a single car garage, and private patio spaces, this place is a showstopper. This enviable property was fully renovated by the current owner, with recent installation of a concrete septic tank, roof, cooling systems, fantastic concrete flooring work, eye-popping concrete showers, upgraded electrical panel, water heaters, appliances, and too many more extras to list! 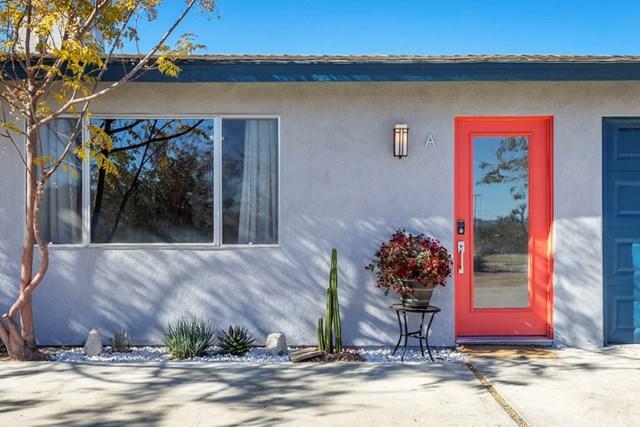 Perfect for the Joshua Tree lover who wants a personal getaway and appreciates rental income as well. You can stay in one while the other is rented. 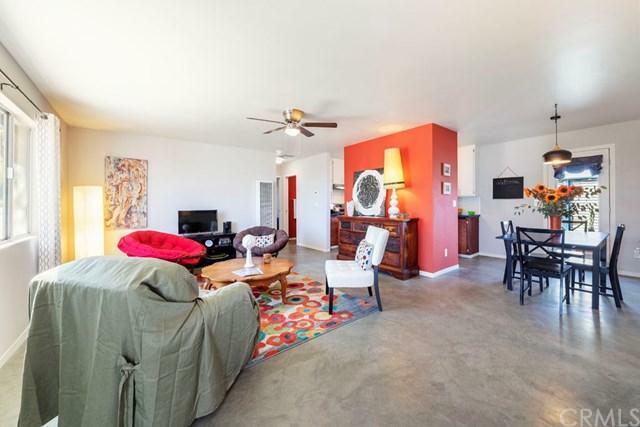 You'll appreciate this swingin' pad's convenient location to all the action in town--walk to restaurants, galleries, saloon, shops, and then take a quick drive to Joshua Tree National Park. Another huge plus--this neighborhood has both natural gas and cable Internet and TV. This beauty is a popular vacation rental for obvious reasons. The photos say it all. Financials are available. Come see today!